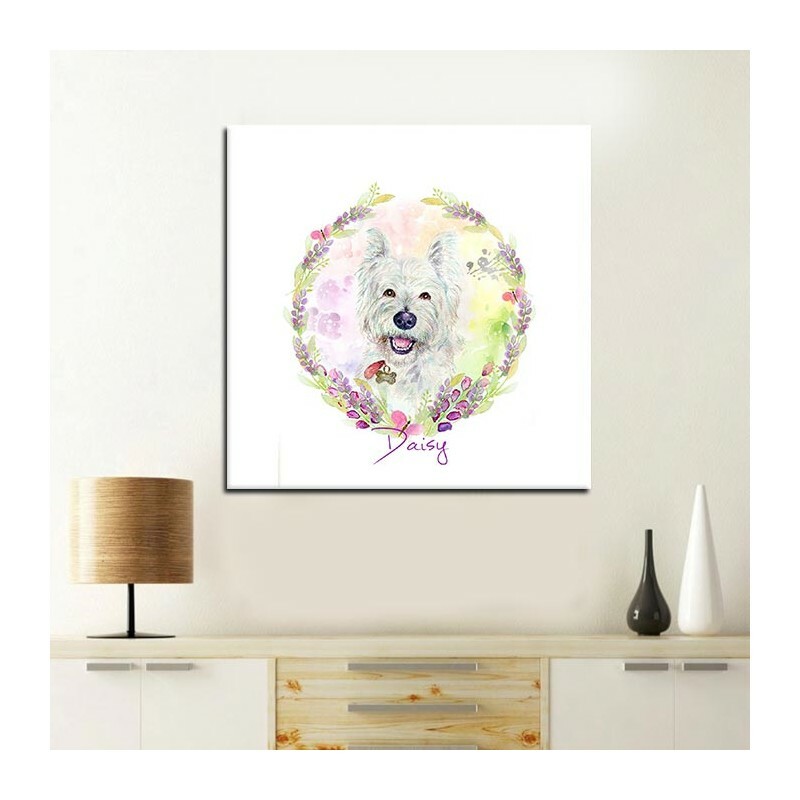 Lovely photo pet portrait gift made by artist! 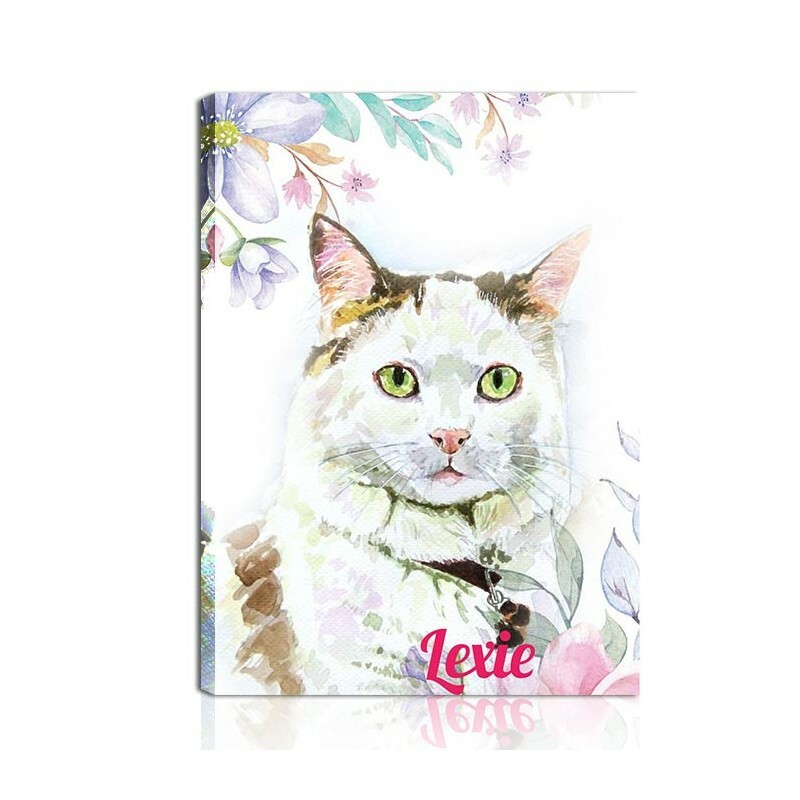 Personalized with your Pet's name and made with high quality standards. 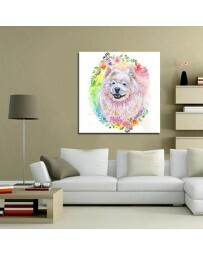 Hand stretched in the U.S.A using real wood and fine art canvas material. By buying this product you can collect up to 69 loyalty points. Your cart will total 69 points that can be converted into a voucher of $14. 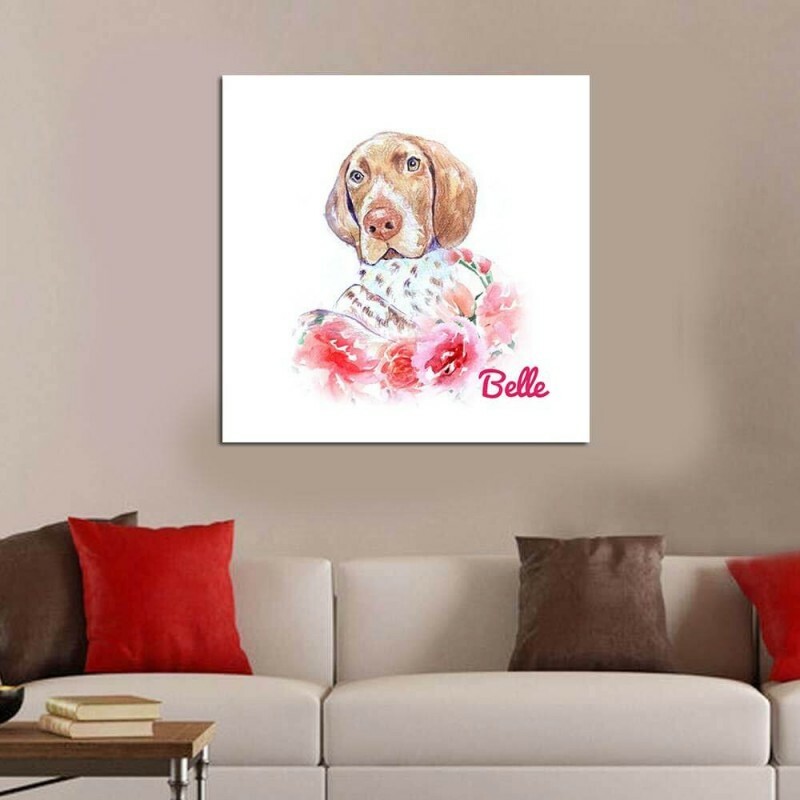 Custom pet portrait canvas made by artist to delight and decorate. 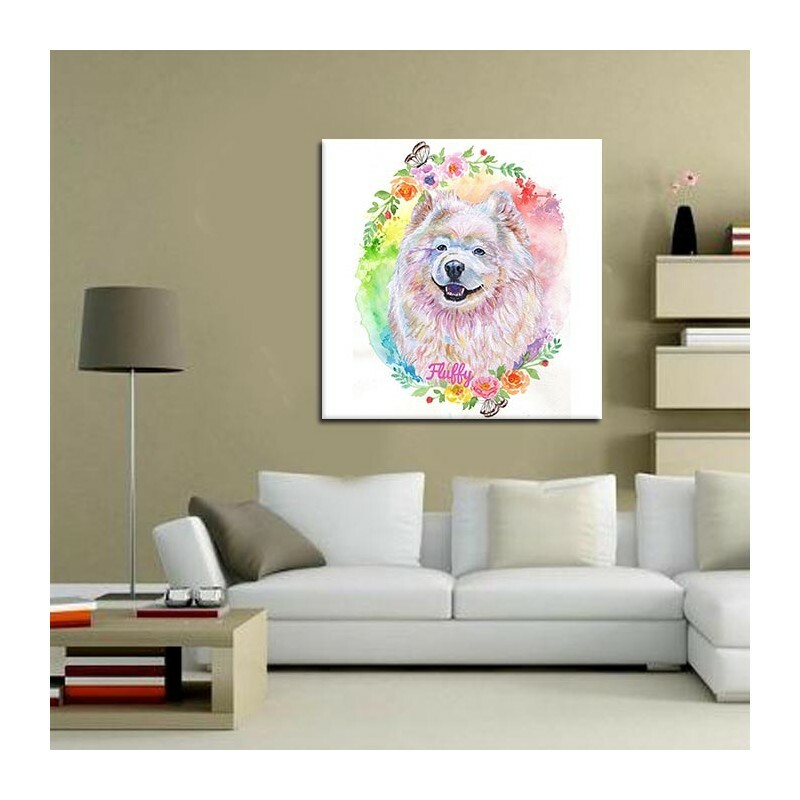 We make no sacrifice on quality and craftsmanship, so that when you receive portrait from Snappy Canvas you will be proud to hang it up or offer it as a fabulous gift. 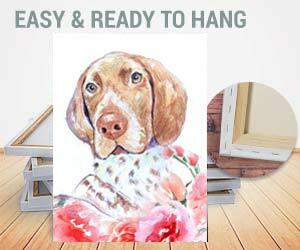 From start to finish we aim to make the process smooth from ordering to hanging. All you need to do to get started is select your options upload your photo and submit your order. 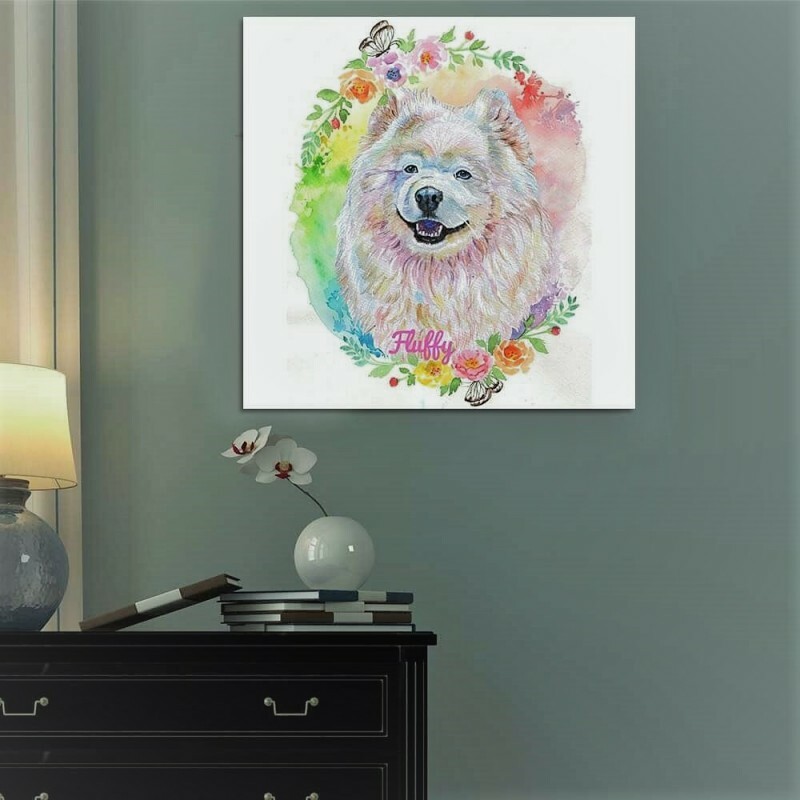 Most customers opt for an E-proof so that they can review a proof of their custom pet portrait before finalizing the order and having it shipped out. 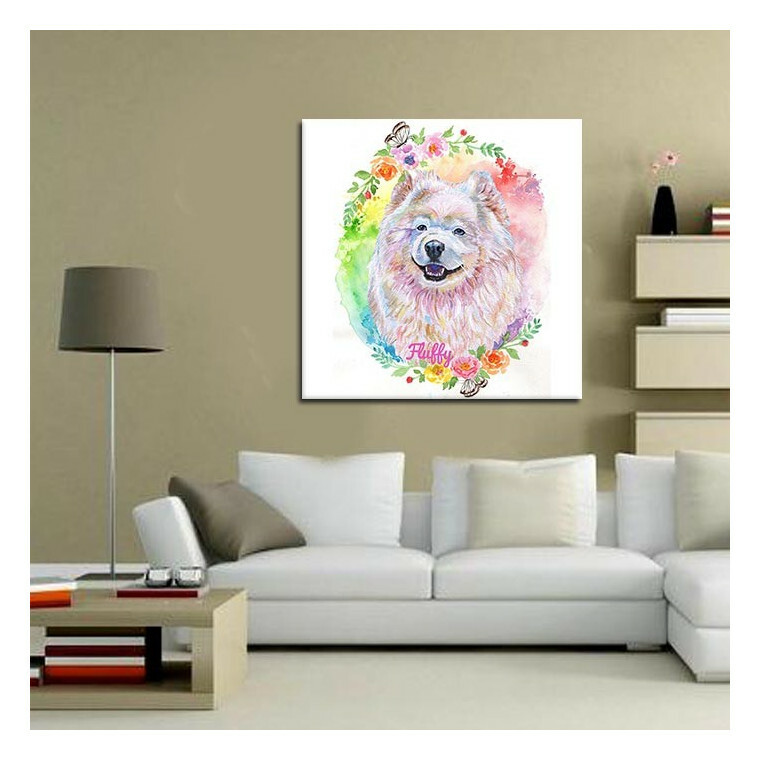 By the way Shipping is Free and most orders are shipped in 7-10 days from approval. . 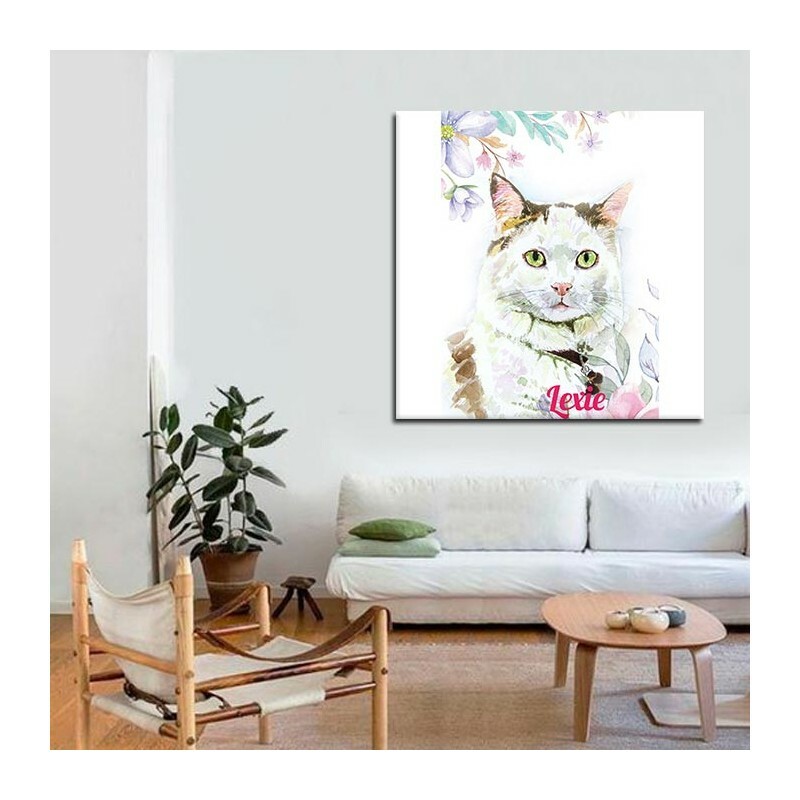 Consult with our support for questions or additional customization we want your Custom Pet Portrait to meet or exceed expectations. 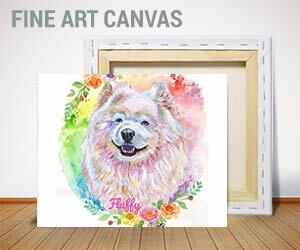 It was a pleasure working with the people at Snappy Canvas. They were very responsive to my requests and timely in their reaction. I would most definately use them again. I was totally pleased with the SnappyCanvas Team ! I love how so much attention was given to every detail !